Before downloading this firmware and release notes, please check with your host application provider to verify compatibility. After registration, we will email you a link to download the firmware. 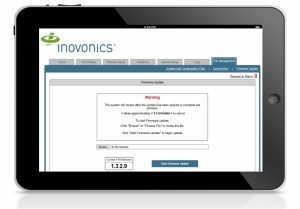 Inovonics has released firmware version 1.3.2 and release notes for the EN6080 area control gateway. As of January 17, 2019 (date code 19003 or higher), all new EN6080 area control gateways are shipping with firmware version 1.3.2. We recommend this firmware update to all EN6080 area control gateways with date code 18194 or lower (shipped prior to January 17, 2019). This release contains added features. See the release notes included with the firmware zip file for details. See Chapter 8 of the EN6080 User Manual for firmware installation instructions.